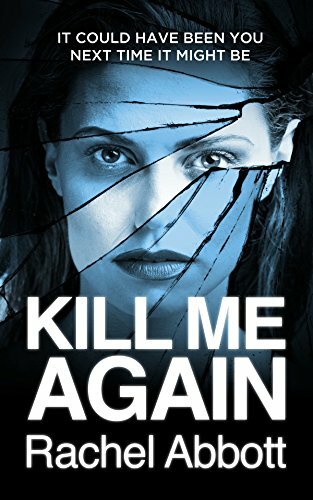 Start reading Kill Me Again on your Kindle in under a minute. A twisting plot has readers unsure of where and who is responsible for a series of murders stretching over 12 years. Police are understandably at odds with events and lack of evidence in the look alike murders. Suspicion lies with different characters but alibis check out. Fear for family and realisation that not is as it seems leads to a compelling and unexpected result. This was a terrific story. The tension at one point was indescribable. I just could not put this down and the ending... took me completely by surprise. This novel is one non-stop thrilling ride - suspenseful, mysterious, with an elaborate plot with many twists and turns. Two stories that flow easily into one...Great in-depth characterisation of all the players involved that you feel their terror, pain and desperation. Without giving too much away, this was about several women who looked like the main character, Maggie, being murdered. Maggie Taylor comes home one day to find her husband, Duncan gone. Duncan, received a text message that his son, Josh saw, said "I am sorry", and disappeared. Maggie is now on a quest to track down this mysterious, man she loves. But, she is not going to like the real man that she has discovered now. In the mean time, Detective Tom Douglas and Becky Robinson are investigating women who are being murdered now with the same MO, to women from 12 years ago. They all bear the markings of three cuts. What is the link? How does this all fit together? Unputdownable. 5.0 out of 5 starsSo much suspense! This is number 5 in this series and it is so hard to put down. Three victims who all look very alike, fit with a similar crime 12 years earlier. It looks as though more than one person is in on the crime. This book goes right to the wire in sheer dread and terror. However, although it appears to end, it is obvious that there is more to come with this story. Very much edge of your seat towards the end. But lots of unanswered questions from the Police investigation like why didn't they ask this or that, or why didn't they realise such and such? Left some glaring gaps in the flow which was distracting. Great revelation at the end. But all in all the characters weren't developed that deeply leaving a lack of desire to read and follow them again. The depth of characters adds to the reality of the storyline. Past murders come back to haunt the family of one. A little too much about what his wife goes through doesn't detract from keeping the reader eager for the next page. Several unexpected twists at the end. Well-plotted and full of twists and turns. The clues are screaming out at you and you're waiting for the police to make the link. Maggie's confusion, fear and desperation are palpable and I really cared about what was happening to her. First class read. 4.0 out of 5 starsA very good example of the crime genre. Sometimes, the blurb for this genre exaggerates, and therefore you end up disappointed in the amount of suspense etc. Happy to say in Kill Me Again, I was far from disappointed, and would buy this author again. Another great book to compliment the previous books. This is a psychological detective thriller about psychopaths and how, through years of manipulation even the closest people to them can't identify the double life of an evil serial killer.